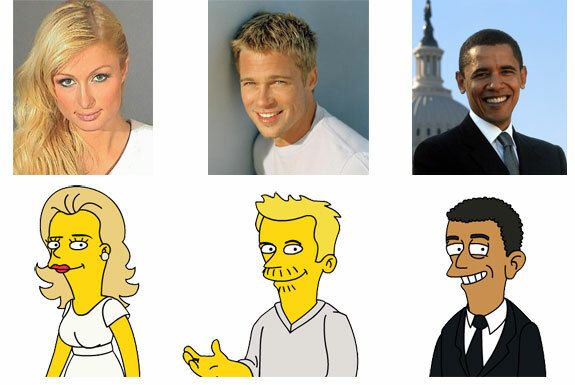 If you’re a fan of The Simpsons you probably enjoy when real life people make cameos on America’s longest running prime time television series; it’s fun seeing how the Simpsons animators portray them. Now you can see how you (or anyone else) would look in Springfield’s 2D animated world at Simpsonize Me. What you do is: upload a head shot (the photo has to be at least 640 x 480), answer a few basic questions and there you go—your photo has been Simpsonized. We’ve found that the website does a rather remarkable job but in case you don’t like your assigned avatar there’s an editing tool that let’s you change hair and facial features and accessorize your new Simpsons character. Once you are finished you can put Springfield’s newest resident in a Simpsons scene or download the photo.